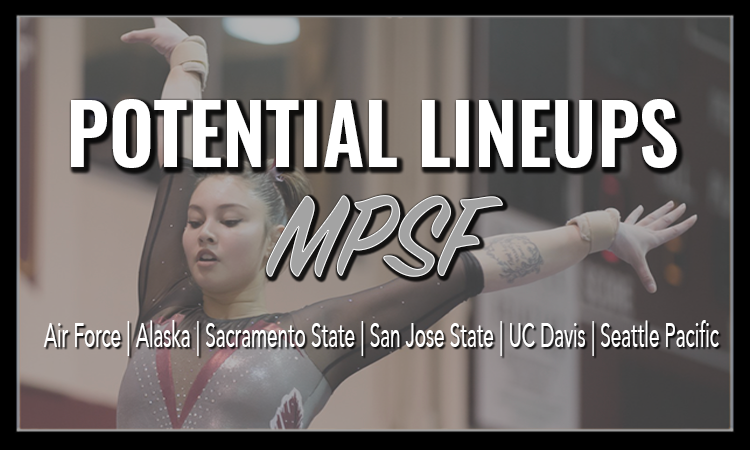 The MPSF is a spunky six-team conference that can be challenging to watch due to its habit of scheduling meets late on Friday nights when most of the east coast is going to bed. It’s well worth the effort, though; these teams return some of the most impactful 2018 freshmen in the country, as well as add a strong set of newcomers. The potential lineups series is back to discuss teams’ prospects for the 2019 season. However, it has a bit of a new look: less body, more straight-forward analysis yet all the same great information you’ve come to know and love. UC Davis topped the conference in ranking in 2018 but lost the conference title to San Jose State for the second consecutive year. The loss of all around star Alexis Brown will take a little work to absorb, but MPSF Gymnast of the Year Kelley Hebert is a serious weapon. Plus, the Aggies should gain more than enough routines from their freshman class of five to retain their level in 2019. Despite losing Brown’s team-leading vault, the Aggies should have no problem on this event. Freshmen Liah Bosworth and Cortney Cunningham have both scored upwards of 9.850 on vault in J.O.—Bosworth with a front handspring pike half, a 10.0 start—and both are likely to become lineup staples. Sophomore Kyla Kessler has shown a convincing Yurchenko one and a half in training, an upgrade from last year’s already strong full. Seniors Kara Jones and Yasmine Yektaparast competed intermittently and provide backup options, in addition to freshman Devon Kiehne who performs an acceptable Yurchenko full. Davis returns enough routines on bars to get by, but it would like to be able to replace a few of the lower scorers with newcomers. Luckily, there’s a wealth of options. Freshmen Cunningham and Shannon Sklow have already looked strong in training, and Lauren Chu has a light and precise style that could make her the star of the bunch. Liah Bosworth’s J.O. scores were held back by a habitually wonky dismount, but in the long term that’s a fixable issue. Meanwhile, former bars star Sarah Liddle is expected to return from injury and will hope to reclaim her place in this lineup. Jamie Panchak will continue to be a useful backup. Beam has the potential to be a massive strength for the Aggies in 2019. In addition to returning effectively a whole lineup of routines, they add attractive peak scores from four freshmen. Unfortunately, most of this group has been inconsistent in J.O.—especially Lauren Chu, whose difficult dance work would play well in front of NCAA judges. The most consistent of the bunch is Bosworth, but Cunningham and Kiehne are also options. Interestingly, sophomore Shanae Oishi has been featured in training updates for the Aggies several times on this event. Oishi, a walk on who started gymnastics at age 14 and joined the team after only one level 10 season, would be a fascinating and compelling addition to this lineup. Similarly, Cammi Johnson, who joined the team last year from Davis’ diving team, has looked great in beam training as well. Floor has the potential to be a tough event for Davis, but it isn’t without options. Senior Roxanna Agah will hope to settle in and become a regular, and the freshmen once again provide depth as well as a little uncertainty. Bosworth has been consistently strong with the understated style typical of her club gym, San Mateo. Kiehne has been training a full-in, and Cunningham and Sklow had strong scores in J.O. Returners Jamie Panchak and Sarah Liddle have been useful backups in the past. The Aggies gain plenty of useful routines in 2018, but they’ll have work to do to sort out which can be consistent in college lineups. Expect some lineup shuffling in the first couple of weeks, but sophomores Hebert and Kessler will most likely stabilize the team with matching all around sets as the freshmen find their place. Like UC Davis, the MPSF champions lost an all around star in Kaitlin Won, as well as a few regular event contributors, but add a colorful set of five freshmen. The Spartans also enter 2019 with a brand new coaching staff and recover a few gymnasts who did not compete in their freshman year, so there could be some uncertainty in the first weeks of the season. The Spartans might have an extra spot to fill on vault since as of early October, lineup regular Kaprece Nadonza has been spotted wearing a boot, possibly indicating an ankle injury. Luckily, there are several options from newcomers this year. Sophomore Trisha Raquel did not compete last year, but she had a strong Yurchenko full in J.O. and vaulted in a recent show day. Freshman Carli Orcutt’s Yurchenko Arabian is also an option. Tia Gin’s Yurchenko Arabian was incredible in J.O. 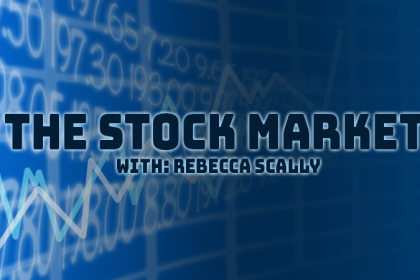 but wasn’t listed at that show day while Jasmine Henley and Samantha Hoston have lower start value vaults that the Spartans will hope not to need. Bars is interesting so far for the Spartans because the athletes we’ve seen most in training aren’t the ones who scored best in J.O. Once again Gin should be a leader with a fantastic Shushunova, and sophomore Nikki Duggan didn’t compete in 2018 but has a strong scoring history and has looked strong recently. Henley and Hoston share a difficult Weiler to Jaeger combination, and Hoston’s in particular has been a focus of training footage. Interestingly, senior Josalyn Ray has been spotted training bars despite her roster description, which indicates she only competes the other three events. Junior Chelsey Andrada has also been spotted training bars, and social media has hinted that she’d like to complete her all around set in 2019. The Spartans retain enough routines to be comfortable on beam, but this piece became a trouble spot in 2018 despite looking strong in preseason. Once again, the return of Duggan, an outstanding J.O. performer, could be critical, and Gin has star potential and a great J.O. scoring record. Senior Ellie Pascoe-Long has been training this event in hopes of competing in the all around while Ray and any of the remaining freshmen will be available as backup options if the frontrunners prove inconsistent. Floor can be a star event for San Jose State, but it will need to add a few routines as only four gymnasts who competed at any point in 2018 return to the team. This is the star event for Gin and Hoston, and sophomore Trisha Raquel is a strong dancer with a promising J.O. scoring record who would do a great deal to pad the lineup. The Spartans will need to find a few more routines for backup—maybe from freshman Antonia Marquez or senior Stephanie Relova, who has been working leaps on floor in recent training. It should come as no surprise that Taylor Chan will continue to hold the reins for the Spartans as a weekly all arounder. Fellow upperclassmen Chelsey Andrada and Pascoe-Long seem to be targeting the all around as well, but from watching training clips it seems that the critical factor for the Spartans will be cleaning up execution rather than any lineup detail. The Hornets have by far the most difficult task of the conference in 2018, with around two thirds of its postseason lineups disappearing. Luckily, their freshman class includes some potential stars, as well as a handful of sophomores who didn’t compete their first year due to presumed injuries but who could make a huge impact this year. The Hornets have the routine volume they need to hold steady in 2019, but with so many newcomers, lineups could get chaotic. Vault could be Sacramento State’s tightest event this year, with the possibility of it not having quite enough routines to stop it from having to use Yurchenko layouts as it did intermittently in 2018. The star should be Amber Koeth, who brings a great Yurchenko full, as well as sophomore Courtnee Marquez who has a beautiful Yurchenko tucked Arabian that starts from a 9.800. In less difficult options, sophomores Kendra Braida and Katelyn Garay competed intermittently last year, and Destiny Watley and Mariah York could be useful backups. Senior Lauren Schmeiss had great vault scores in the past but didn’t compete this event in 2018. Bars is a strong event for the newcomers, and they’ll be essential here. Koeth has a fantastic transition-based routine that could immediately anchor, and York is also a frontrunner. Marquez was great on bars in J.O. but only did one exhibition in 2018 with disappointing results, but her return here will be necessary. Karissa Hoffman’s routine has good bones but could use a little cleaning, and Shaye Mathias and Garay are likely the next tier of options. The Hornets have the potential for ridiculous depth on beam this year, which would be a relief after a challenging first half in 2018. Koeth could once again be a star with a beautiful triple series, and York has also gotten exceptional scores in the past. Marquez, Mathias and freshman Nicole Nebel all have top scores over 9.500 here, and Hoffman might be an outside pick due to her outstanding poise alone. Returners Tara Catour and Carly Pratt have also contributed in the past with solid scores, and Jordyn Brent might be looking to add this piece to complete her all around set after exhibitioning in 2018. Once again, there are approximately a billion routine options. Expect fireworks from Hoffman, who is one of the most natural dancers entering NCAA this year and whose style will be well-utilized by perennially quirky Sac State choreography. Garay has great scores on this piece, and at this point it should come as no surprise that York should be a factor, despite underperforming in her single exhibition in 2018. Nebel, Koeth and Marquez also have potential here. Upperclassmen Alexis Belkoff and Catour have also put up strong routines on floor in the past. For the Hornets, it’ll be hard to fill lineups without a new all arounder or two, so we can safely assume there will be some. Koeth is the strongest candidate, and scores from past routines indicate York has potential here. However, since we’re still unclear on the nature of her missing last year. it’s probably best not to assume too much. Jordyn Brent could easily join the group by adding beam. Any way around, January might be interesting for the Hornets, but once the talented underclassmen settle in, the foundation of the team will be solid for several years to come. Air Force is joining the likes of Southern Utah and Iowa State in the trendy new strategy of Just Recruiting a Billion People. Its presumed roster in 2019 contains seventeen underclassmen, and having graduated only three routines from the team that finished third at USAG nationals last year, it looks poised for massive growth. Note that not all freshmen listed have been confirmed by the roster yet. The Falcons’ returning vault lineup is completely satisfactory, so this season they’ll aim to replace some of the lower scores with more difficult options. The frontrunner is Aleysia Kolyvanova, whose Yurchenko full is beautiful, as well as Cameo Stapleton, who does a ridiculously powerful Yurchenko Arabian. Pixie Brock and Daija Stevenson bring Yurchenko layouts that have scored well in the past, and Heidi Sand and Mariana Murphy will return as useful backup options. Kolyvanova is the bars leader of the freshmen, with beautiful lines and a great Jaeger. Brock also has a strong Jaeger and a solid scoring history, and Kayla Perez shows her Legacy Elite pedigree with phenomenal handstand sense. Mackenzie Brummett has the scores to be a solid backup here while sophomore Lynne Jad was strong on bars in level 10 and might be able to join this lineup. Tyler Davis competed bars inconsistently in 2018 but will want to add it on a regular basis to push for the all around. Air Force had a beautiful beam group in 2018 and retained the entire lineup, so it will have room to play with freshmen with minimal urgency. Kolyvanova has great technique, and Stapleton has strong scores and an impressive Popa. Stevenson has nice form and could become a specialist here, and Perez and Brock both also have high scores over 9.500. Last year, Riley Hill, Brooke Bruder and Rita Koenigbauer also contributed intermittently. Floor is the only event on which Air Force lost multiple routines, but it returns enough that it shouldn’t have an issue. Stapleton has a double layout, an E pass, though it can be a little temperamental. Perez is a beautiful dancer and Kolyvanova competes a gorgeous two and a half twist. Of the freshmen, Brock and Valerie Smith also had strong J.O. scores. Sand and Chloe Camello competed intermittently last year, and sophomore Cam Barber was strong on floor in level 10 and might be able to add it to her set. Air Force is on the rise in the MPSF—it edged out Sacramento State at the 2018 championship—and in the USAG standings. It tied its program record of 195.675 at USAG nationals team finals in 2018—a mark that could conceivably fall again in 2018. Expect rising star Davis to at least dabble in the all around in 2018 and Kolyvanova to join her. The Falcons had a recovery year in 2018 after losing numerous critical routines, but they showed signs of settling into the second half of the season with the help of a bumper freshman class. This year, having graduated only one senior and with plenty of new routines to play with, they could be poised to build. Note that freshman Lilja Olafsdottir is injured and will likely redshirt. Vault could get inconsistent for Seattle Pacific last year, but it has the difficulty and the high scores to make it a strength. The newcomers don’t bring much difficulty, but Emma Lamping and especially Kayla Chan have strong Yurchenko layouts that could be useful at the front of the lineup. Kylie Reese has also been a useful backup on this event. The story of bars will be a high profile injury return: Junior Miyuki Matsune can be a star on this piece, but was restricted to beam last year after a hand/wrist injury. Ciello Magsanide can be an essential routine here, with J.O. scores up to 9.500 and beautiful technique. 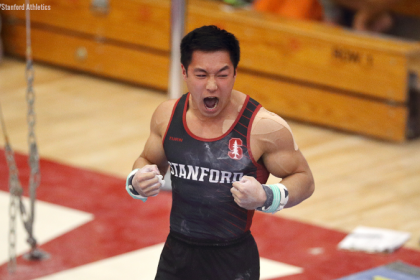 Chan brings strong level 10 scores, and Lamping’s GAGE pedigree shows in her handstand sense. 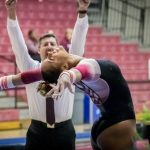 Senior Itzia San Roman picked up bars in 2018 out of necessity and performed admirably through the season; but she might be able to drop it and focus on her strong events if the team’s new depth on this piece pans out. Beam is the least steady event for the freshmen, but luckily it’s also the one where the returners supply the highest top score. The team has beautiful technique on beam and just needs to stay consistent. Chan can be a star: She’s scored up to 9.600 in J.O. with great difficulty and presence. Magsanide is beautiful here too, though her acrobatic series can be questionable at times. This event was also a strength for sophomore Haven Lanzador in J.O., though she was held back by inconsistency in 2018. Shelbi Spivey is a likely backup. The Falcons are great performers on floor, and the new additions to the lineup will make it even more fun in 2018. Matsune will hope to return after her injury last year. Lamping is a strong dancer whose trademark is a gorgeous Memmel that we hope she’ll retain in college, and Chan is a dynamic tumbler. Lanzador competed floor intermittently in 2018 and stands a chance to crack the main lineup if she can stay consistent. As Seattle Pacific figures out its lineups in 2018, expect junior Darian Burns and sophomore McKenna Zimmermann to continue to shine in the all around. And don’t be shocked if Kayla Chan joins them—the Waller’s GymJam alum is a great catch for the Falcons. SPU can be such a dynamic team, and it’s exciting that it will have breathing room in its lineups in 2019, even after accounting for a few more routine losses than it expected at the end of 2018. The Seawolves laid a strong foundation in 2018 under then-new head coach Tanya Ho, keeping their results steady despite a devastating set of injuries. This year, the injury onslaught might have already begun—Louisa Marie Knapp looks to have re-injured her knee while two others have been spotted in various braces. However, with a strong freshman class, Alaska has the depth to withstand a few issues this time around. For lower-ranked teams, the scoring difference between a lower SV vault like a handspring front and a more difficult one like a Yurchenko full can be much more than the actual difference in SV. It’s critical, then, that Alaska will be able to replace several of those simpler vaults thanks to its freshman class. Kate Fandrich brings a Yurchenko full and will likely find a place in the back half of the lineup, and Ali Marvel’s Tsuk tuck full looks strong in training already. Senior Kaylin Mancari and freshman Alex Britz are likely backup options. Bars was devastated by injuries in 2018, with nearly every healthy member of the team having to pitch in for the team to field complete lineups. The return of Tere Alonso and Sofie Riley should pad this lineup significantly, allowing some of last year’s less natural bar workers to drop out of the top six. There are several freshman options here too: Alex Britz in particular could be a star, and Fandrich only needs to clean up a little leg form to be useful. Most interesting is Rachel Decious, whose J.O. scores were unremarkable but who has the technique of a great bars gymnast and was spotted working a new double front dismount recently. Junior Sophia Hyderally’s return will make all the difference here: She set a program record, a 9.925, in her freshman year but was unable to compete as a sophomore due to injury. She looks fantastic in training already and will be a powerful anchor for what could be a great lineup. Expect Alonso’s return to be impactful as well, but keep an eye out for Decious: The Gold Medal alumna is beautiful on beam and has gone as high as 9.575 in J.O. Senior Kierra Abraham and almost any other freshman could be a strong backup option as well. The Seawolves return five solid floor routines, but there are plenty of other options to play with. Once again, Decious is a potential star, and Fandrich had great scores in J.O. Floor was also newcomer Winter Osborne’s strongest event—the sophomore has a great story, and it would be exciting to see her compete in her first season. 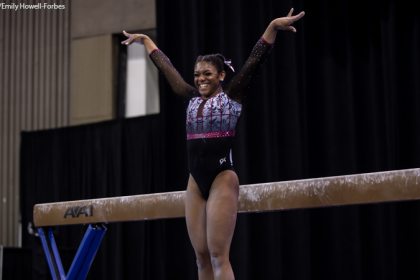 Abraham and Alonso competed in previous years, and sophomore Hope Nelson, a star on bars and beam in 2018, was also a strong floor competitor in her level 10 days. It’s hard to predict how this lineup will pan out, but the depth is a luxury for a team that didn’t have much of it last year. Things could change a great deal for Alaska in 2019, but the team’s fate hinges on its injury status. Training updates from the Seawolves have looked positive, though, and even if they don’t add as many routines as is possible from the newcomers and athletes returning from injury, they should have enough additions to improve their scores in 2019. Expect to see Isabelle Fox and Mackenzie Miller return to the all around if they’re healthy.